Awareness is essential for iron overload. Hundreds of thousands of people carry the genetics associated with hemochromatosis yet many have no idea. 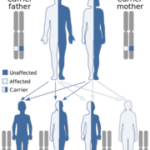 Some estimates show 1 in 9 people of Northern European descent are carriers of the genetic mutation that can cause this disease. Entire families may be impacted without their knowledge. For something so common, one might think that everyone would have heard of this condition, that it would be part of routine blood testing done by physicians, and that people with the condition would have a great support network and understanding by their doctors, friends, and community. And yet, in reality, hemochromatosis is frequently misdiagnosed by doctors or not diagnosed at all, so people often suffer for longer than they need to, feeling alone in their deteriorating health. Many times their friends and family members have never even heard of the condition, leading to feelings of being an outsider with a strange condition no one can pronounce. 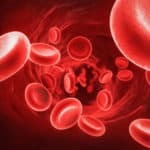 Using Lab Tests to Diagnose Hereditary Hemochromatosis- A hemochromatosis diagnosis is often accomplished by a combination of blood tests used to look at iron markers in the body, and then confirmed by a genetic test. As a genetic condition that is passed down to other blood relatives, many times a healthcare provider is alerted to check for this condition after another family member tests positive. Using Lab Tests to Monitor Your Iron Overload- Another use of lab tests after a diagnosis of hemochromatosis has been established is to monitor how you are handling treatment and your overall health status. If therapeutic phlebotomy has been recommended, it’s important to monitor your blood levels to ensure you don’t give too much blood too fast, and on the flip-side, to make sure that you are doing the phlebotomy frequently enough. Watching how your Ferritin and Transferrin Saturation % numbers change over time is a great way for your doctor to track how you are doing. Serum Iron gives us a glance at the current level of iron in our bloodstream. Serum iron is not “free iron” but rather the quantity of iron bound to transferrin in our blood. Unsaturated/Unbound Iron-Binding Capacity (UIBC)- This is the amount of free iron in the blood, unbound and causing oxidative damage. In the unbound form, excess iron is toxic to our tissues and organs. Free iron is a “pro-oxidant” and creates free radicals that will destroy the healthy function of our cells. Total Iron-Binding Capacity (TIBC) measures, as you might guess, the available capacity of the blood to bind iron. Ferritin Level is the most significant lab test to monitor the state of your condition and the progress of your treatment. The ferritin test alerts us to the burden of iron in the cells. Ferritin binds excess iron, which reduces the harmful oxidation potential and toxicity of free iron. High ferritin levels are not problematic in and of themselves, but elevated ferritin most often reflects a state of excess iron. Transferrin Saturation is a ratio of serum iron to total iron-binding capacity (multiplied by 100). This value represents the percentage of how much iron is bound to the blood protein transferrin. An elevated transferrin saturation is highly correlated with hemochromatosis. The HFE Gene Test determines if an individual’s DNA contains any of the mutant alleles associated with hemochromatosis: C282Y, H63D, or S65C. AST & ALT- These are the most common. If there is damage to the cells of the liver, these enzymes may be elevated in the blood. ALP & GGT- Other liver markers that may be tested. If the flow of bile from the liver is impaired, these enzymes may be elevated in the blood. Triglycerides, Cholesterol, Blood Sugar- These metabolic markers can rise for a variety of reasons, including decreased liver function. These are all tested via a routine blood test and are most accurate if done fasting. Many times doctors may not find it necessary to jump straight to the genetic testing, but if you know it runs in your family, your doctor may run the genetic test at the same time. Other times the genetics are run after abnormal numbers show up from the iron panel. The hemochromatosis genetic testing is also a blood test and this does not need to be done fasting. The test will look to see if you have one or two copies of any of the following genes: C282Y, H63D, or S65C. Different combinations are correlated with different levels of disease—you may read more about the genetics of hereditary hemochromatosis here. What if my doctor won’t test this for me? I’ve gotten this question a lot. Some people don’t fit the typical profile so their healthcare practitioner doesn't think it's necessary. Or your doctor may not be familiar with hemochromatosis testing. In that case, I do have an alternative option to provide. We’ve partnered with DirectLabs, an accurate, confidential, and inexpensive providers of lab testing (available in the USA only). Direct Labs is a fantastic way to test your labs, including iron markers like ferritin and transferrin saturation % and genetic markers like C282Y, H63D, & S65C. You have already received your hemochromatosis diagnosis and you are looking to monitor your lab tests. You suspect you may have iron overload, but you have yet to have any testing done. You have a family member with hereditary hemochromatosis, but you have yet to have any testing done (or vice versa… you have iron overload –> but your family has yet to be tested). You are interested in monitoring your blood work for enhancing your general health. You would prefer to pay a pre-negotiated lower rate directly to the lab versus going through insurance and/or your providers billing process. Accurate, confidential, and inexpensive lab testing is available from Direct Labs… complete with the most important markers for hemochromatosis! Click on the following link to be taken to Hemochromatosis Help’s page on Direct Labs. Click on the “Order Tests” button at the top left of the page to view common tests important for hemochromatosis. Select which test(s) you would like, and Direct Labs takes care of everything. They make it easy! Hemochromatosis testing is essential for many reasons. All the time, I hear from people who suspect that they may have iron overload. Perhaps even more common is the story of a person who has been diagnosed with hereditary hemochromatosis, but their family members have not been checked yet. In either case, lab testing can be an important first step in identifying the root cause of too much iron. Once someone has received the proper hemochromatosis testing, they can then go about taking the necessary steps to get themselves healthier. Affiliate Disclosure: This page contains affiliate links, which means Hemochromatosis Help may receive a percentage of any product or service you purchase using the links in the article. We only recommend services that we have personally used, know, and trust to be of the highest quality and integrity. You will pay the same price for all products and services, and your purchase helps support Hemochromatosis Help‘s ongoing research and work. Thank you for your support!